Mesa County Surveyor Patrick Green briefs the Board of Mesa County Commissioners Monday in public hearing regarding the status of his office and the previous year's accomplishments. In 2017, Mesa County Surveyor Patrick Green, Western Colorado Land Surveyors, Professional Land Surveyors of Colorado and Colorado Mesa University worked collaboratively to address legislative changes that require those seeking a license as a professional land surveyor to have a four-year degree in surveying. As a result, Colorado Mesa University started offering a new course in land surveying and geomatics at Western Colorado Community College in the fall of 2017. For information about the land surveying program, visit http://www.coloradomesa.edu/wccc. 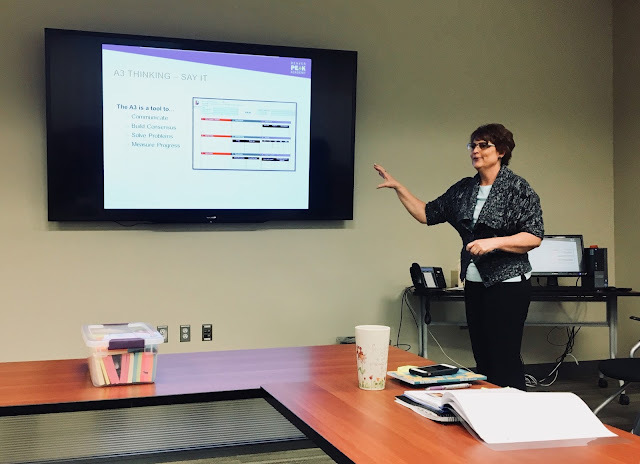 U.S. Department of Agriculture Colorado State Director Sallie Clark stopped by the old Mesa County Courthouse, 544 Rood Ave., Tuesday morning to give local government leaders an update on the Rural Development program. USDA Rural Development is currently conducting a routine five-year periodic review process regarding eligible areas for housing programs (direct and guaranteed home loans) in Colorado. Sallie Clark, U.S. Department of Agriculture's state director of rural development in Colorado, talks about the notice of changes to eligible area maps for USDA Rural Development Housing Programs in Clifton and Fruita. To view the notice, visit http://blog.mesacounty.us/2018/01/notice-of-changes-to-eligible-area-maps.html. USDA Rural Development is conducting a review of all areas under its jurisdiction to identify areas that no longer qualify as rural for housing programs. U.S. Department of Agriculture Colorado State Director Sallie Clark spoke to local government leaders about the review her agency is conducting. The public has 90 days from the date of the public notice to submit comments regarding the potential loss of eligibility for Rural Development housing programs. Comments should be sent to cogrhinquiries@co.usda.gov. All submitted comments will be reviewed and any changes made will be published April 1, 2018. The nationwide implementation for all map changes will be June 4, 2018. Mesa County Commissioner John Justman chats with Delta County Commissioner C. Douglas Atchley at the meeting. Delta County Commissioner Don Suppes and Mesa County Commissioner Scott McInnis. Sallie Clark, left, tells Mesa County Commissioner Rose Pugliese that the last rural area reviews were performed in 2012-2013 using the 2010 census data. This year's study will utilize the 2015 American Community Survey (ACS) data. Mesa County Commissioner John Justman and Clerk and Recorder Sheila Reiner pause for a picture before their catch-up meeting gets underway. Mesa County Building Department hosts annual code compliance classes taught by Steve Thomas from Colorado Code Consulting. This week, many Western Slope building inspectors, firefighters, contractors, architects, and engineers attended this year’s seminar to learn about the changes between the 2012 IRC Conventional Light Framing and 2012 International Building Code Fire Resistant Rated Construction versus the 2018 IRC Conventional Light Framing and 2018 International Building Code Fire Resistant Rated Construction. 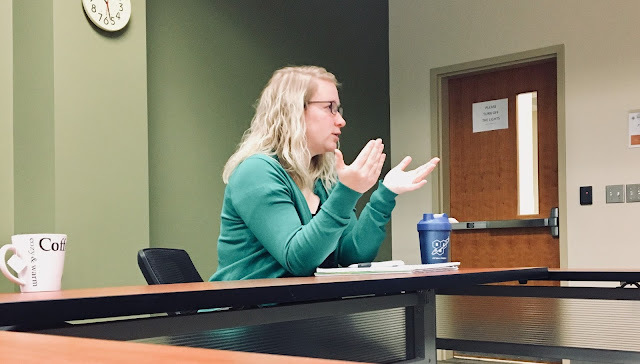 The two-day seminar covered the significant changes between the 2012 and 2018 IRC and IBC. Mesa County Building Department has been hosting training opportunities that are open to the public for over 15 years. For training opportunities, visit http://www.mesacounty.us/building/. Mesa County Clerk and Recorder Sheila Reiner stops by the KREX studio to talk about resources available at the Motor Vehicle office. To watch the interview, visit http://www.westernslopenow.com/news/local-news/new-resource-to-save-time-at-motor-vehicle-office/933375260. 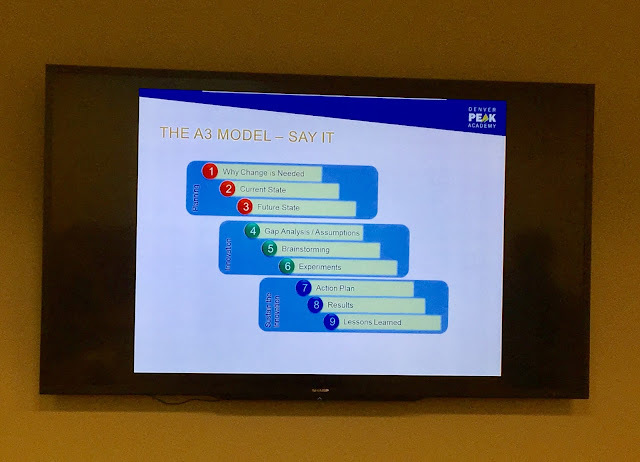 Mesa County Elections Director Amanda Polson participates in a discussion, led by Mesa County Clerk and Recorder Sheila Reiner, regarding the five principles of innovation from the Denver Peak Academy. Clerk Reiner teaches staff that innovation can be transformed from thinking it, to saying it, to implementing it, through effective tools that track and measure results. When implementing change, it is important to plan, innovate and sustain innovation through accountability measures. Spring cleaning came early this week at the Department of Human Services (DHS). 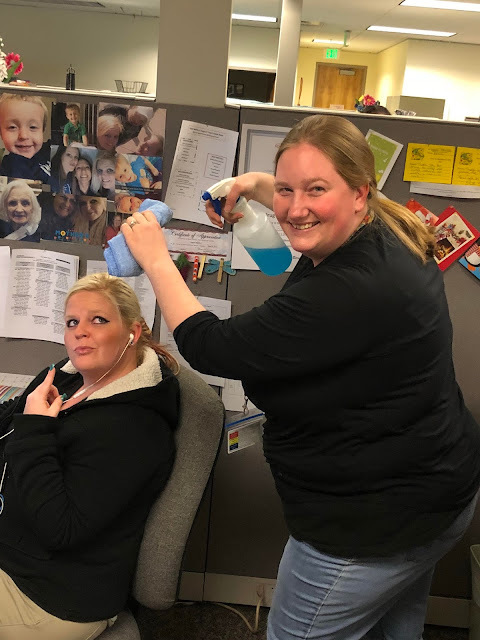 Case Services Aides Kezia Schmidt, left, and Angela Robinson, right, might have gotten the wrong impression what needed cleaning. Child Support Specialist Candice Barnes enjoys her clean cube, but not the photo op! 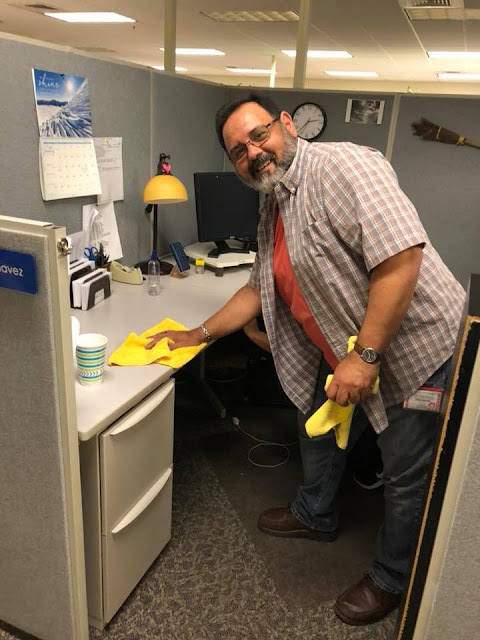 Operations Supervisor Albin Escamilla always keeps things clean around DHS. 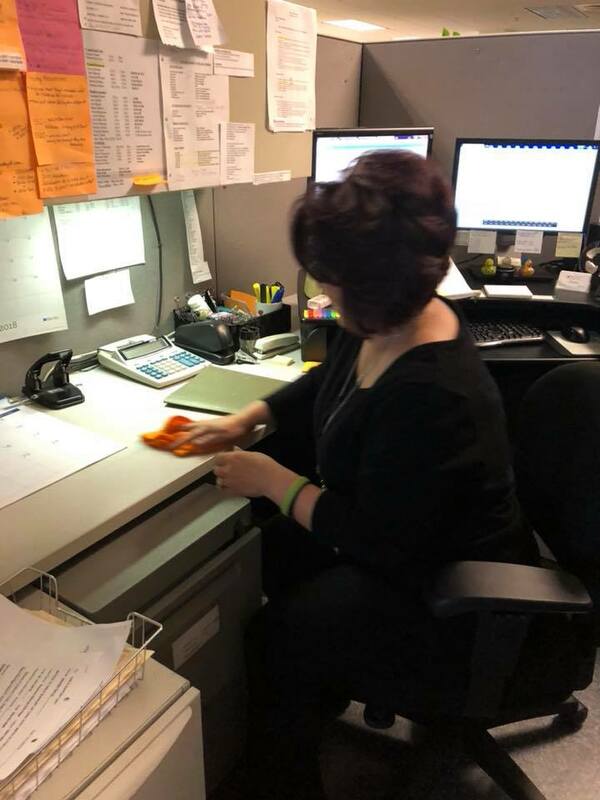 Child Support Specialist Lorri Chavez really takes getting things clean SERIOUSLY! 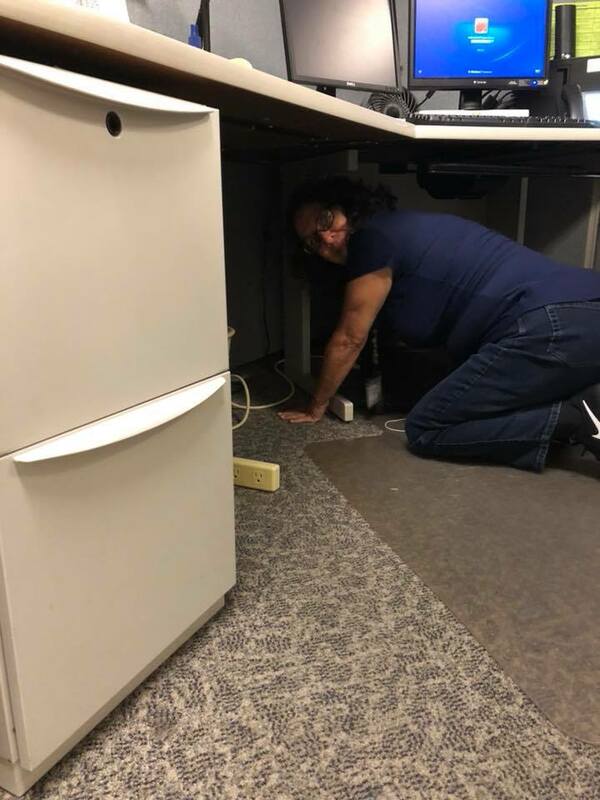 Child Support Specialist Mai Mesta leaves no dust bunnies behind. 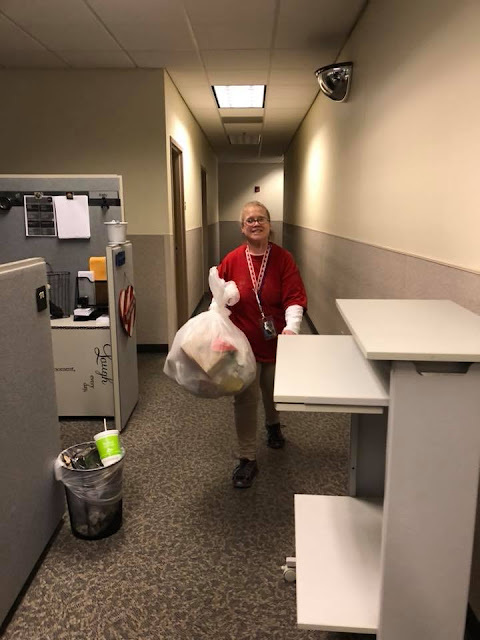 DHS janitor, Ann Buddle, takes care of the final cleaning detail. 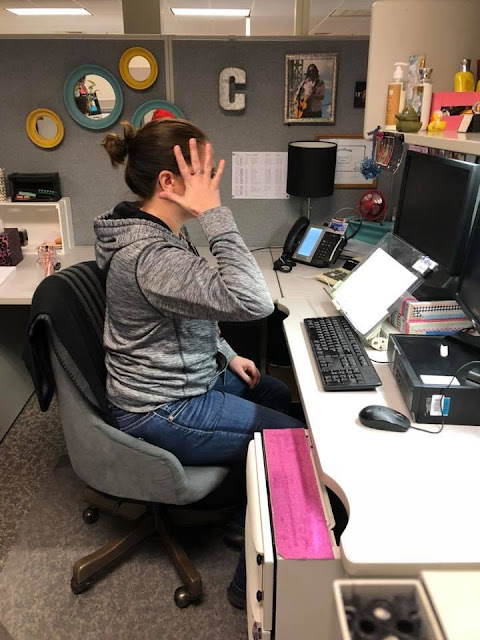 Mesa County Commissioner Rose Pugliese shares with KFQX (FOX) Anchor Chelsea Helms that she was re-elected by commissioners from across Colorado as the Chair of Colorado Counties' General Government Committee for an additional 2-year term. Pugliese will continue to be a strong voice for the Western Slope. Watch the interview at http://www.westernslopenow.com/news/local-news/commissioner-pugliese-discusses-bills-for-the-2018-legislative-session/946442718.